It’s Valentine’s Day at Headquarters, and Natty has a super-great guest to talk to about it. Here’s a hint – it’s Valentine! Bumperpodcast #341 – New Year, New Car?! It’s the beginning of the year as I know it, and I feel fine. This episode is told in 3 acts – and, it’s all about getting a new car. Whaaat?!? Listen and learn! Also – before we forget, we’re thrilled to have been picked up by the Shining Wizards Network of podcasts. Double-hooray!! https://i0.wp.com/www.nattybumpercar.com/wp-content/uploads/2014/12/bumperpodcast_image_200-and-up_1400.jpg?fit=1400%2C1400&ssl=1 1400 1400 natty bumpercar https://www.nattybumpercar.com/wp-content/uploads/2008/04/sticker.jpg natty bumpercar2019-01-04 15:34:252019-01-04 15:34:34Bumperpodcast #341 – New Year, New Car?! Bumperpodcast #340 – You are the bestest! It kind of feels like an end of the year episode – but – who knows – we might just crack the mic again – at some point. Regardless – it doesn’t matter – because, it’s mostly me thanking you for being so awesome – and asking 2018 to hit the road. Hooray! 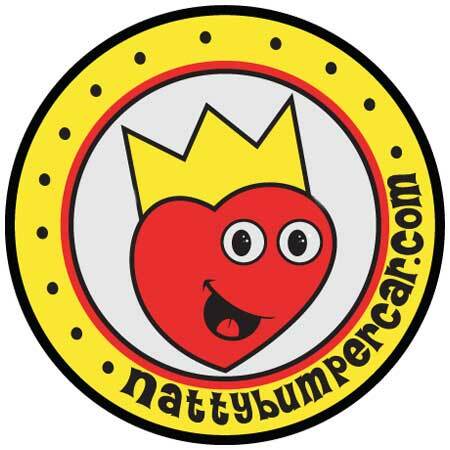 https://i0.wp.com/www.nattybumpercar.com/wp-content/uploads/2014/12/bumperpodcast_image_200-and-up_1400.jpg?fit=1400%2C1400&ssl=1 1400 1400 natty bumpercar https://www.nattybumpercar.com/wp-content/uploads/2008/04/sticker.jpg natty bumpercar2018-12-24 11:07:532018-12-24 11:08:01Bumperpodcast #340 – You are the bestest!